District 7020 is located in the Caribbean, on two geographical areas, separated by Dominican Republic and Puerto-Rico. 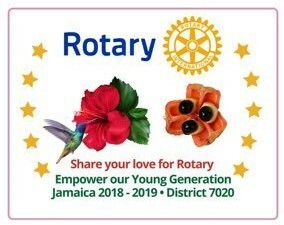 Out of 529 districts around the world, District 7020 consists of 10 countries speaking three languages with over 50 clubs and more than 900 Rotaractors and of July 1, 2012, included 83 Rotary clubs. These countries include: Anguilla, Bahamas, British Virgin Islands, Cayman Islands, Haiti, Jamaica, St. Maarten, St. Martin, Turks and Caicos, US Virgin Islands.